A straight smile is a healthy smile. Not only are well-aligned teeth attractive, but they are also easier to clean, bite together properly, and are subject to fewer fractures, uneven wear, and chips. At Briar Pointe Dentistry in Novi, MI, Dr. Neil Blavin will help you decide which orthodontic option could achieve your best smile. More and more in his Novi office, Dr. Blavin sees adult age patients who desire the many health, personal, and professional benefits of a smile that is straight and healthy. At an orthodontic consultation at Briar Pointe Dentistry in Novi, Dr. Blavin and his team will evaluate your smile carefully. 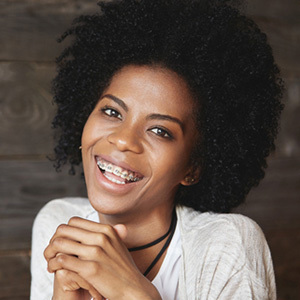 Typically, they recommend braces for people with gaps, spacing, congenital absence of teeth, protruding front teeth, bite problems, and more. While they place conventional metal brackets and archwires to correct more complex problems, they also use Invisalign, Six-Month Smiles, and Cfast Braces for excellent results that are quicker, more convenient, and unobtrusive. In other words, there are discreet methods of orthodontic treatment which work well for the adult who is out there in the world and doesn't want a mouthful of metal braces to attract undue attention. Six-month Smiles use clear brackets and tooth-colored wires to move front teeth into straighter positions. This unique method moves only the teeth in the smile zone--that is, the ones people see when you laugh or smile. The physical forces used are gentle and gradual. 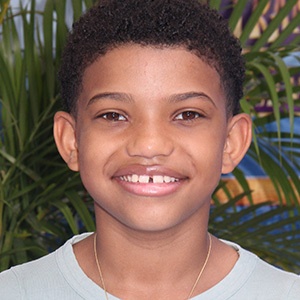 Cfast Braces works under the same principles as Six-month Smiles. Discreet brackets and wires re-position front teeth in far less time than traditional braces. Dr. Blavin is very pleased to include this orthodontic method in his menu of services! And, of course, Invisalign is frequently chosen as the way adults prefer to straighten their teeth, with unobtrusive clear trays. You'll never know how your smile can improve unless you come to Briar Pointe Dentistry for an individualized consultation with Dr. Neil Blavin and his team. So, why not phone the office today to book your appointment? Call (248) 347-0030 for more information.